Is it time to lose weight, change your body, feel better about yourself and transform your life? 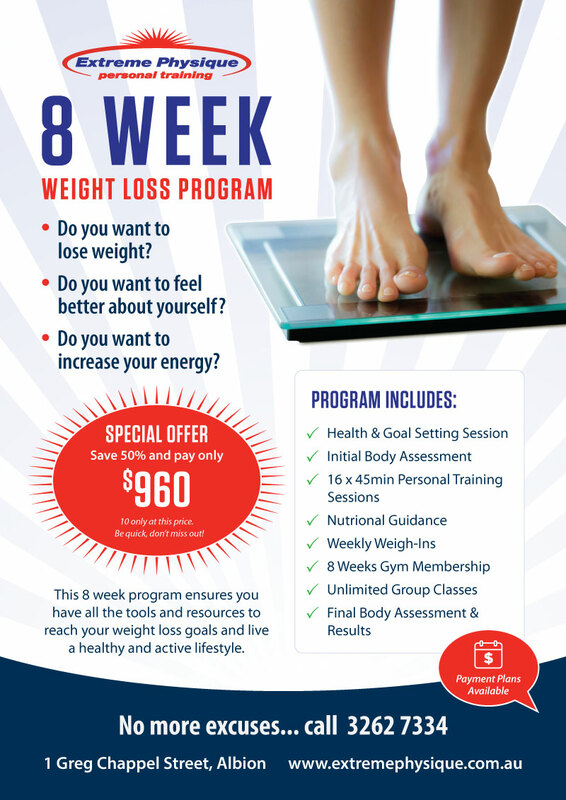 Our 8 Week Weight Loss Program will help you feel great, increase your energy and lose weight in just 8 weeks. It is not about forcing you to do things that are extreme or drastic but allowing you to take control and charge of your weight. 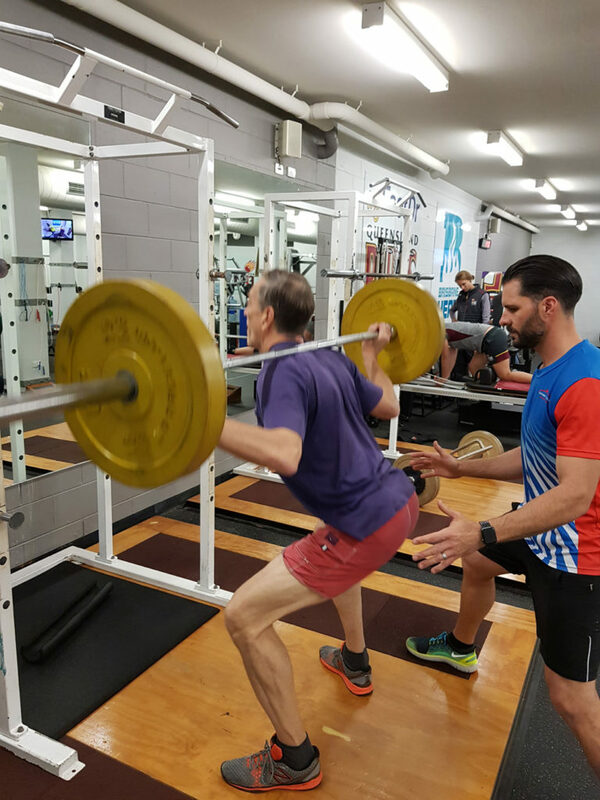 We take the time to understand your lifestyle routines, past and present exercise activities, injuries and medical conditions. We also establish fitness and health goals to give us a direction and something to aim for. Establishing your current fitness levels and body measurements is very important. This allows us to track your progress and determine your results. Remember there is no pass or fail just a starting point. Increase your strength & cardiovascular fitness during these training sessions. Your trainer will always keep you motivated with tips and tricks along the way. These training sessions will also give you increased energy levels whilst burning away those unwanted calories. We understand that nutrition is very important when trying to lose weight. We help you with this by providing tips and advice and also have several online resources available to help you achieve a sustainable nutritional plan. Stay on track with your results and keep an eye on your progress. Sometimes you just want a little more, well if you feel like burning some extra calories you can always pop in and do just that. Being part of a group environment always provides a little extra motivation. Join in any of our group classes and reach your health and fitness goals quicker. This is the exciting part where we can compare your results. Develop an understanding of all your results. For every kg you lose we will give you $15 credit at Extreme Physique. Getting paid for removing the kgs, now that’s a win win situation. This program represents fantastic value and combines everything you need to achieve successful weight loss results. All that is missing is you, so don’t keep putting it off – start today.